Who can forget the benevolent Fairy Godmother in Cinderella? She was so kind and generous, and provided Cinderella with the tools to go after a new life. But did you know that cartoon character was based on a real person? Growing up, many girls fell in love with the Disney flick Cinderella — and couldn’t help imagining what it might be like to have a Fairy Godmother of their own. Well, for J.P. O’Connor, she got to live that fantasy. 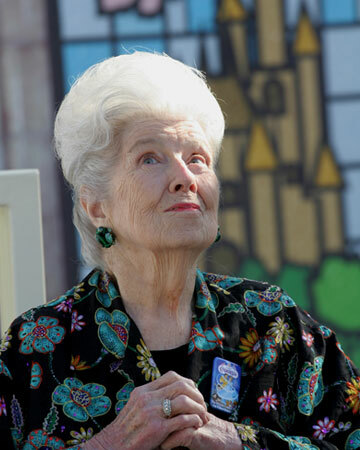 Her mom, Mary Alice O’Connor was the inspiration for the kindly Fairy Godmother. 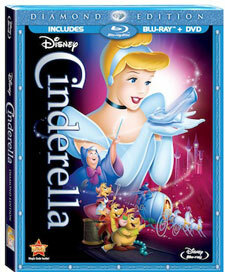 J.P.’s father was layout artist Ken O’Connor, who was working on the Cinderella film. He turned to his wife, who was in her 30s, for inspiration as the team tried to create the Fairy Godmother, imagining what she might look like as an older woman. At the time, her mom was very trim with jet black hair, says J.P.
“We all pretty much know in this famiy that we’re going to be a little rounder when we age. My dad appreciated a womanly shape and he knew that was probably going to happen to her,” says J.P. But the Fairy Godmother’s likeness wasn’t so much about the shape, but about her attitude and actions, which J.P. says really captured her mom. 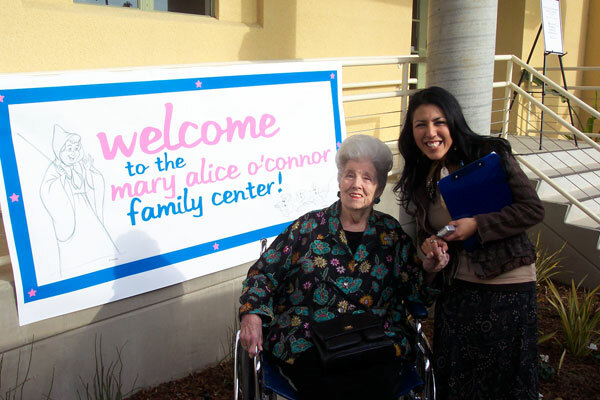 Mary Alice was involved in many community organizations and even helped found an organization that helped people with mental health challenges — at a time when discussing such things was unheard of. “She stepped up to needs in the community and wasn’t afraid to take things on,” says J.P.
Mary Alice was a truly special woman. “She really counted on people meaning what they said, doing what they said. That was really, really important to her. I think she believed that everyone had some special gift all their own,” says J.P.
J.P. says that the special feature on the new princess Fantasyland being built at Walt Disney World is also pretty spectacular. “I think the magic continues and it will keep going,” says J.P.